Not Included: Any travel required to and from the start point at Ott car park located directly off the Slievenaman Road. We'll be returning to the same spot at the end of the workshop. The sky never goes fully dark this time of year, so expect a weekend evening like no other watching the sun disappear and the summer evening twilight settle across the Mournes. Between shooting and enjoying a few hot drinks, Alistair and I will be sharing some of our own experiences. As part of this workshop you’ll also be receiving a 60 page e-book assembled by Alistair Hamill, Stephen Wallace and myself. This is the start and ending point for the day. We’ll formally introduce ourselves and share with you the plan for the day. We'll follow the track together up towards the saddle crossing beneath Slieve Loughshannagh and descend again to our first stop for the day. We'll spend 2-3 hours by the water's edge at Lough Shannagh where we'll cover technical aspects as well as how to compose a photograph. Being by the lakeside affords us the opportunity to discuss long exposure photography and how best to use this technique. I'll be providing hot refreshments at this point and a chance for discussion. From Lough Shannagh we ascend onto the summit of Slieve Doan- our sunset destination for the evening. We'll arrive here 2-3 hours in advance of sunset, affording us plenty of time to explore foregrounds and apply the techniques that we discussed earlier down by the lakeside. 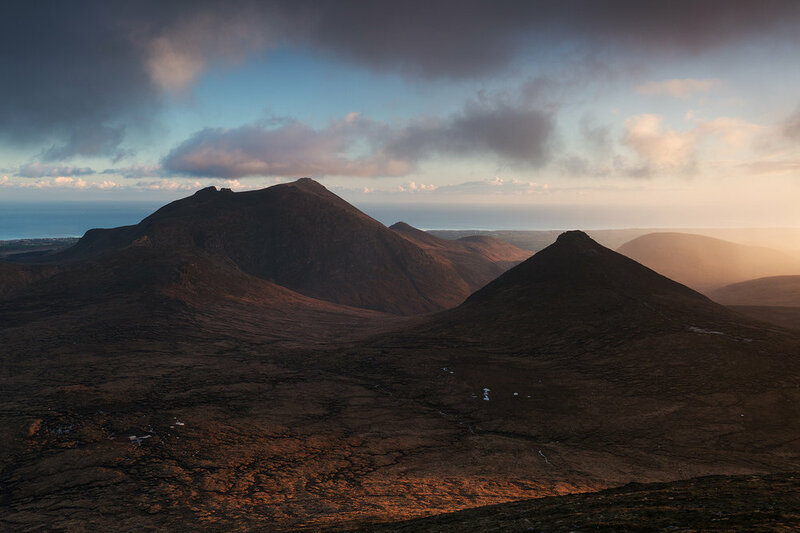 Slieve Doan's prominent position in the heart of the Mournes means it affords fantastic 360 degree panoramic views. 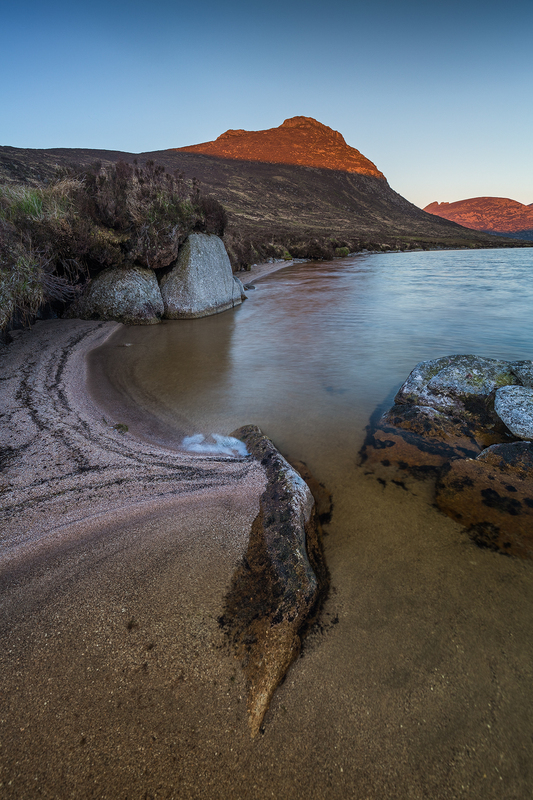 With summer sidelight, there's few better places to photograph at this time of year! We begin the journey down, arriving back at Ott car park at approximately 11pm. Alistair is a respected and widely recognised author of photography e-books. He gives presentations to camera clubs across Northern Ireland throughout the year and runs workshops on the North Coast. In 2016 Ryan was named overall winner of Trail UK Mountain Photo of the Year. His enthusiasm for hiking and photographing mountain landscapes has taken him across the UK, Ireland and wider Europe. The price of the workshop is £100 which is payable in full upon booking. To participate, please follow the link where you'll be re-directed to a check-out page.